The boyfriend and I followed the tradition of hosting Thanksgiving for our New York friends. A mixture of foreigners and holiday orphans gathered at ours for a day of eating, drinking and being merry. On Thanksgiving eve, I realised that we didn't have enough wine glasses for everyone, so I went on an emergency thrifting expedition. First stop - Housing Works Soho. I bought one wine glass and err......a pair of ultra cute shoes. OK, so they weren't on my shopping list, but how could I resist them? Second stop - Goodwill on east 23rd street - brilliant for housewares. As if by magic, there they were, 4 beautifully tall and elegant wine glasses, 1.99 each. Bingo! As we had the exact number of glasses for our guests, we asked our guests to put a little sticker on their glass so they could keep track of it throughout the evening - a great idea. Thanksgiving day was wonderful. 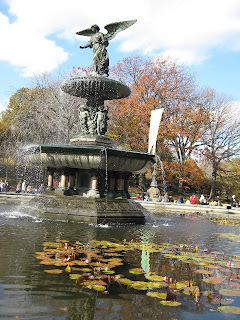 We actually saw the parade, after all, we do live one and a half blocks away from Central Park West. For the first time, we managed to get our lazy selves out of bed and onto the street to see the giant balloons - well worth it! The Thanksgiving meal was divine (my man cooked all of it) and - of course - the table was set with my thrifted china finds. The amount of food we ate was legendary but - most importantly - we were grateful for being among friends and loved ones. Happy Thanksgiving! Here's to family and friends! 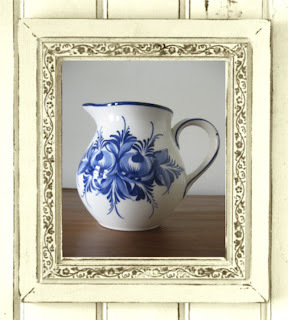 I'm Portuguese you see, and we are pretty much obssessed with blue and white ceramics. We have a long history of making pottery and the Portuguese have the most beautiful handpainted tiles. Yes, tiles. You will find them decorating walls everywhere, churches, rail stations, houses, monuments, etc. They often depict historical scenes and are a major part of Portuguese architecture and history. They are called Azulejos (I love this word). The name is derived from the arabic (from back in the day when Portugal was occupied by the Moors), and the word azul - also means the colour blue. They tend to be blue and white but you may also find yellow and some other colours. 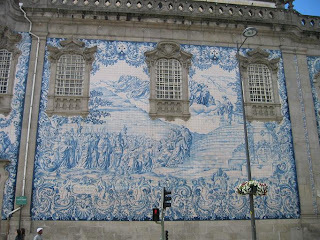 My favourite azulejos are the ones on the church (Igreja do Carmo) in my home tome of Porto. Absolutely beautiful. 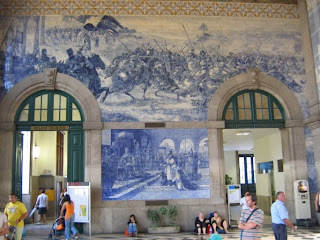 And of course the tiles of Porto's railway station Sao Bento, also a beauty. 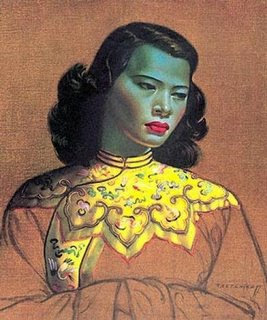 On my thrift wish list is a print of the wonderfully kitsch "Chinese lady' by Vladimir Tretchikoff . I love its gaudy colours and it reminds me of the bright pop art that painters like Andy Warhol immortalized. 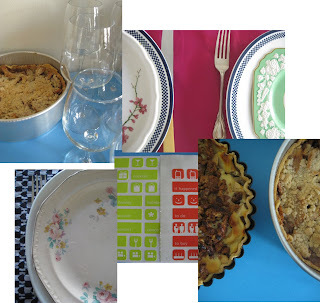 It is lovely in a vintage nostalgic kind of way and above all - it is fun and doesn't take itself too seriously. The 'Green lady' was painted in 1952 (when Tretchikoff was 39) and became the world's biggest-selling print. In effect, Tretchikoff was the world's first mass-market artist. The 'Green lady', described as the "Mona Lisa of kitsch", hung on the walls of half a million suburban homes around the world. I remember seeing her in restaurants and homes of friends' parents decorating otherwise dark and drab places. She was everywhere. She is actually a real person. She was called Lenka and was Tretchikoff's lover, they met in a NYC restauraunt in the late 40s. Apparently Lenka had a fascination for all things paranormal. Although Treatchikoff wasn't taken seriously by the big art collectors after he went for a mass market approach, his print sales made him the most highly paid artist in the world after Picasso. My wishful thinking is that someone somewhere in NYC will decide that they canot live with the Green Lady anymore and will give her to a good home....I will find her in a thrift store, dust her off and hang her on my living room wall. She'll look perfect.